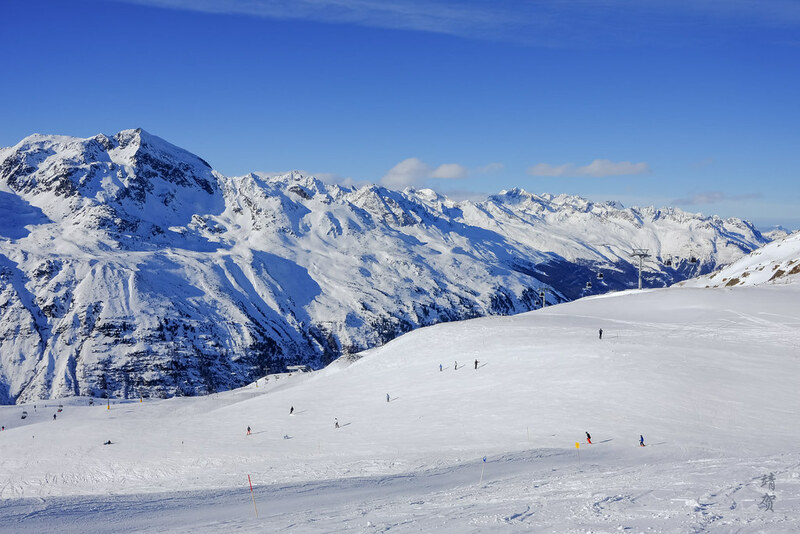 Located deeper in the Ötztal valley past Sölden, Hochgurgl and neighbouring Obergurgl forms the second ski resort that is covered by the same ski pass when purchasing for 3 days or more. While Obergurgl is located in the valley base, the village of Hochgurgl is located up on the mountain side at an altitude of 2,150m. 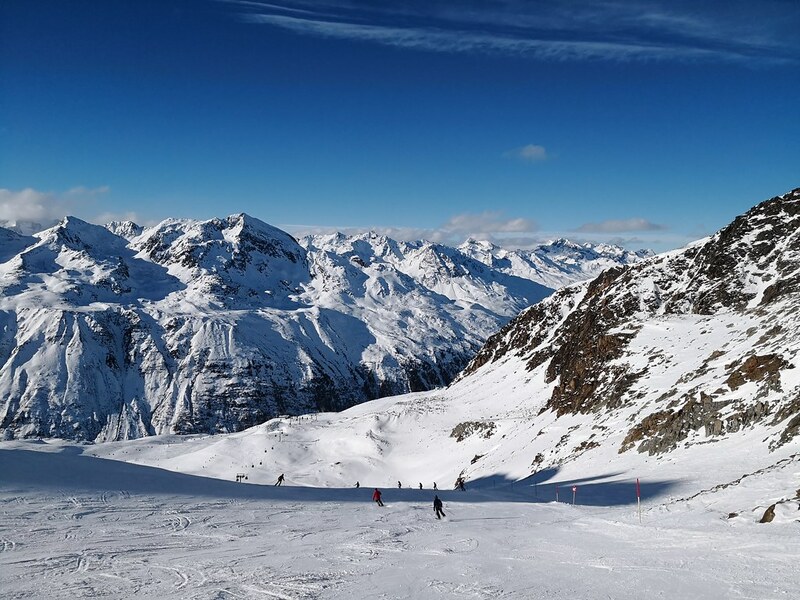 Together with the slopes in Sölden, Hochgurgl and Obergurgl provides plenty of pistes for skiers to explore and enjoy! 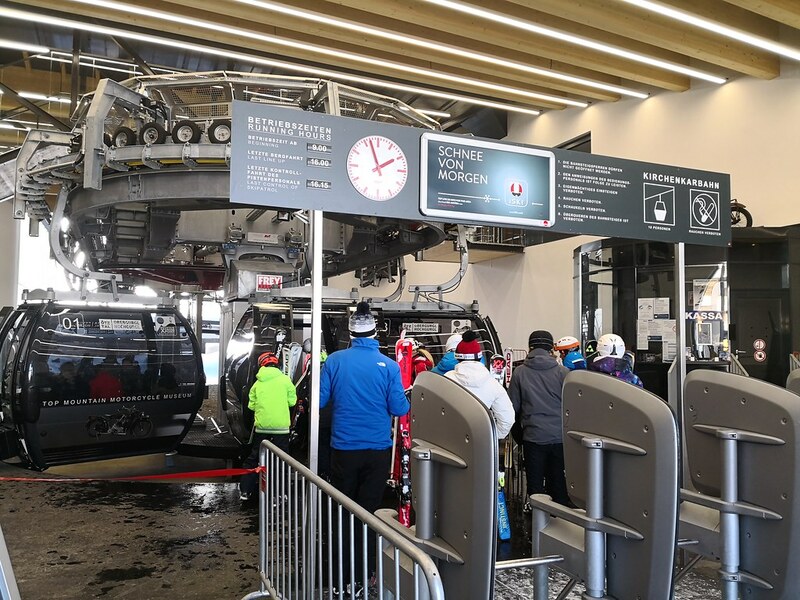 Both the base cable car station at Hochgurgl and Sölden is connected by regular bus services that allows skiers who live in either location to get to the other to ski. 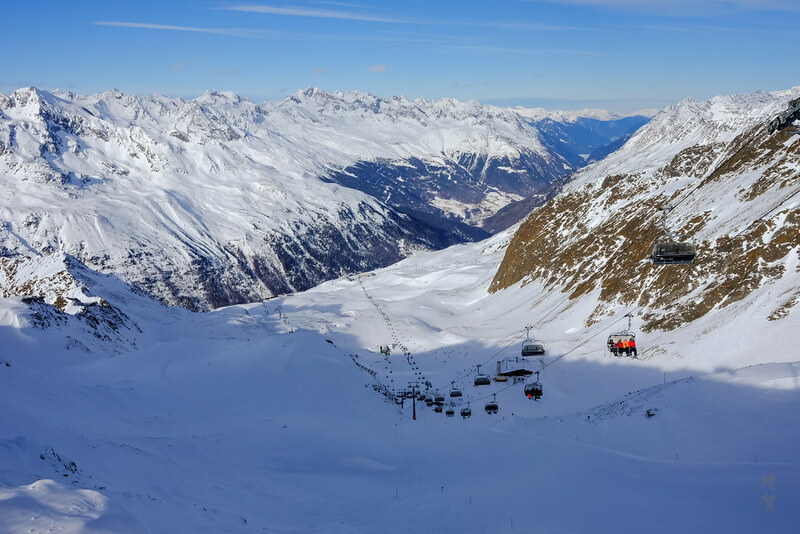 This free service to skiers means it is possible for skiers to live in either of the village of Hochgurgl, Obergurgl or Sölden to ski in any of the slopes. 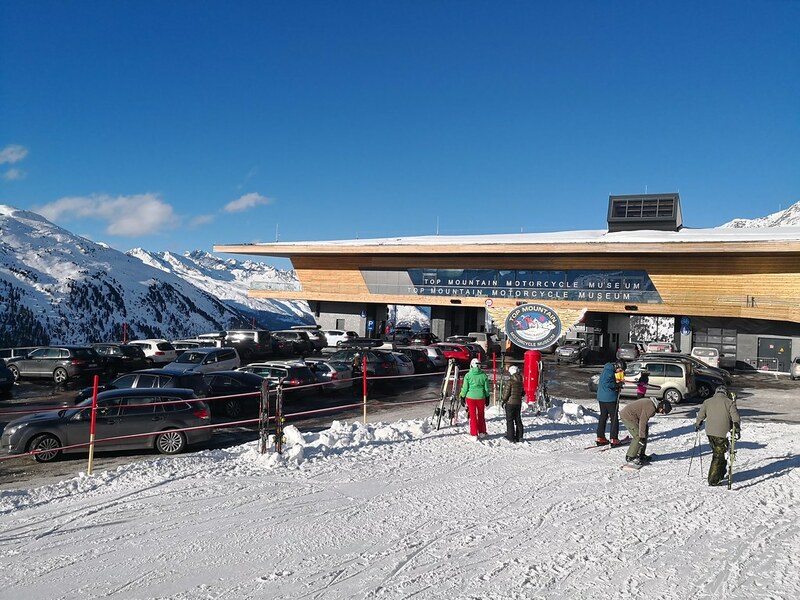 Hochgurgl is also easily accessible by car from Innsbruck, taking around 90 minutes and there are several shuttle companies that provides the service for a fee. 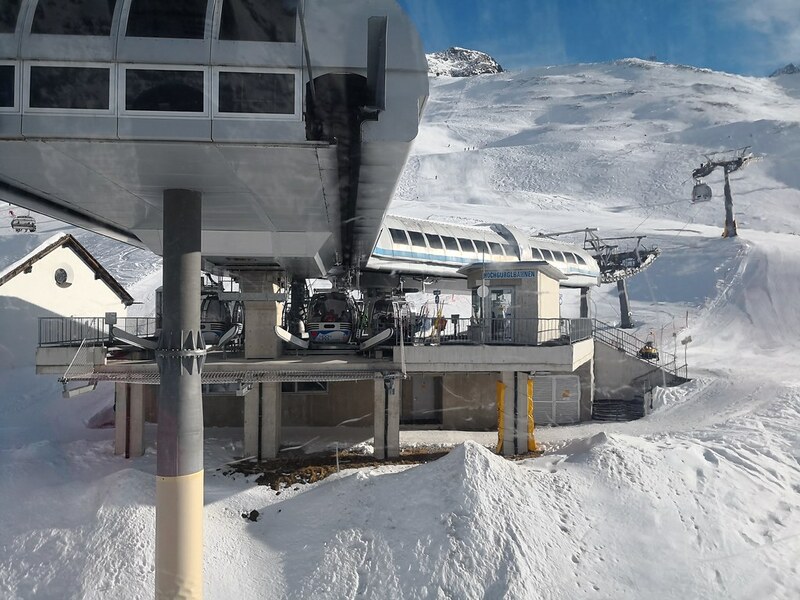 For drivers, Hochgurgl is much preferable to Sölden since they can drive all the way up to the upper reaches of the mountain and find parking either in the village or at the Top Mountain Crosspoint and Motorcycle Museum, which is the base of the Kirchenkarbahn cable car. Skiers who does not stay in Obergurgl or Hochgurgl will probably take the lone Hochgurglbahn I cable car that connects the valley base to the village. Another section – the Hochgurglbahn II takes skiers all the way up to Wurmkogl from the village. 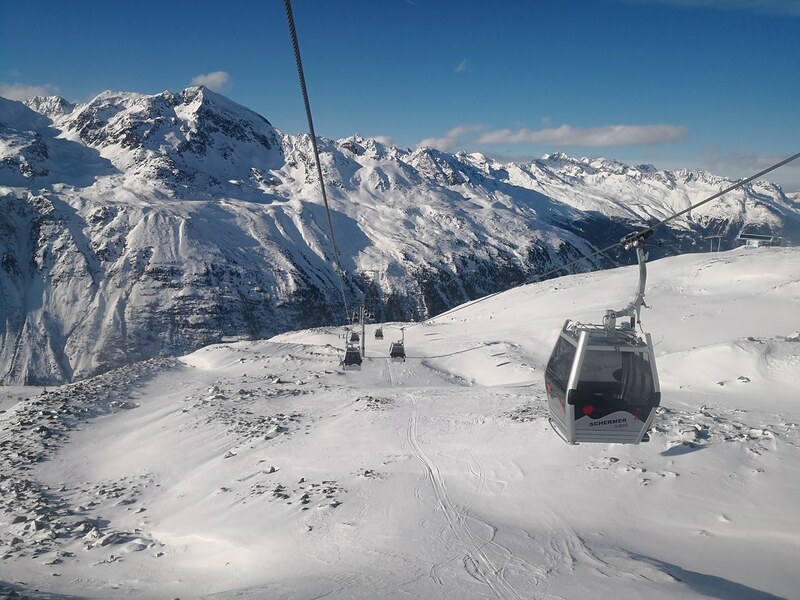 There are 2 other cable car systems in the Hochgurgl ski area including the Schermerbahn which leads to the base of the Schermerspitze and the Kirchenkarbahn that opens out the eastern side of the mountain with an extension to the base of the Kirchenkogl peak. 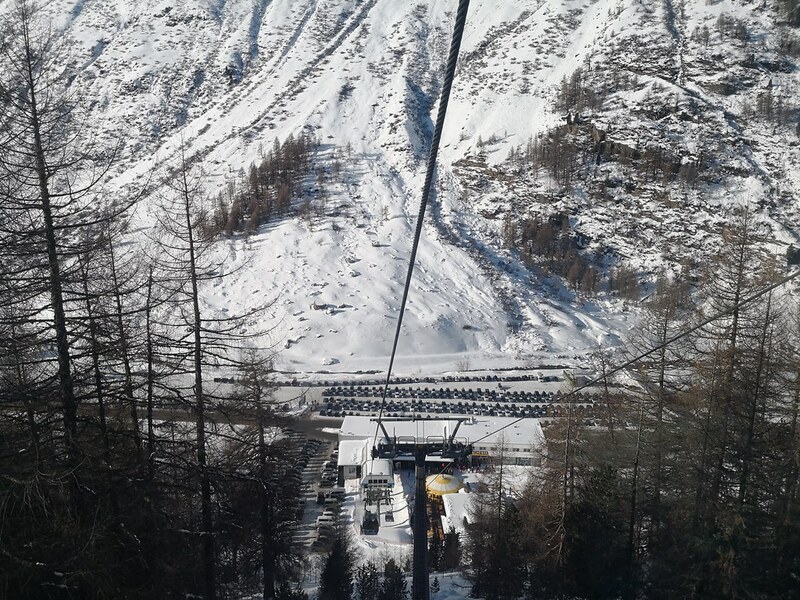 Another cable car connects the mid-mountain section on the base of Schermerbahn with Obergurgl, allowing skiers to enjoy both Hochgurgl and Obergurgl in a day of skiing. Other lift infrastructure in Hochgurgl includes a 6-seater express chairlift Große Karbahn connecting the mid-base of Hochgurglbahn with Kirchenkarhütte. This high capacity chairlifts makes for easier access to Kirchenkarbahn. The Wurmkogl I and II quad-seater chairlift meanwhile brings skiers up to the highest point in Hochgurgl/Obergurgl ski area which kind of makes it the Peak chair that skiers should take when visiting this ski area. In addition to the chairlifts and cable cars, there are a couple of T-bar systems that I did not take during my one-day here. One of the T-bar is for milder slopes and suitable for beginners while the other 2 T-bars in Vorderer Wurmkogl opens up to more advanced terrain. 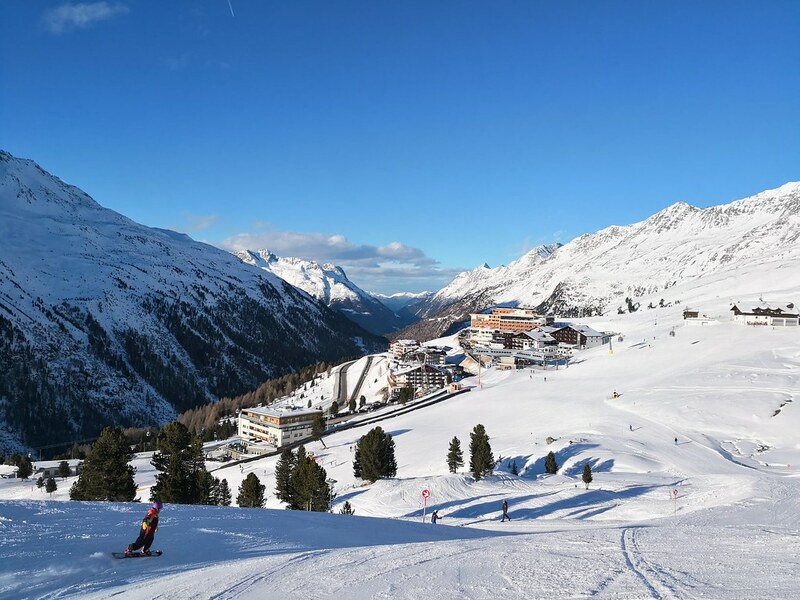 Off-peak full day ski-passes for Hochgurgl and Obergurgl is EUR50 while the cost for the peak season is EUR52, slightly cheaper by a couple of Euros compared to the one-day passes in Sölden. Skiers who pay for a 3-day pass for EUR143 (off-peak) or EUR154 (peak season) gets access to both Sölden and Hochgurgl/Obergurgl. Thus if you are visiting the Ötztal area for the week, it makes sense to buy a multi-day pass for the versatility in skiing both areas. At first glance, they are somewhat expensive considering the slightly less number of chairlifts and terrain for just Hochgurgl. However the multi-day passes that provides access to Sölden would give more acreage for the buck! And when you consider the altitude and access that the ski lifts provide in Hochgurgl, then maybe the cost becomes easier to stomach! 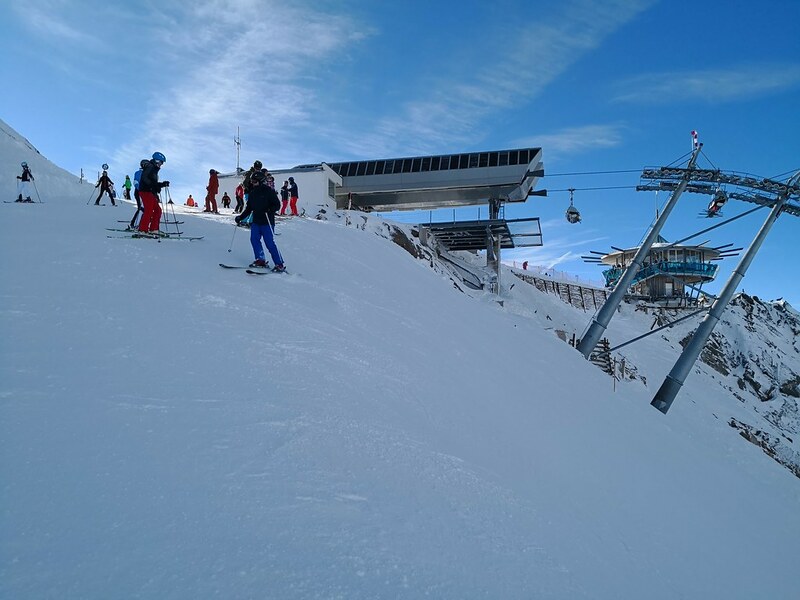 There are plenty of beginner runs here in Hochgurgl and the mountain actually provides a blue marked run from the summit of Wurmkogl II that is also the highest lift-accessed area to the base of the Hochgurgl village. This means that beginner skiers can easily cover 70-75% of the pistes here. 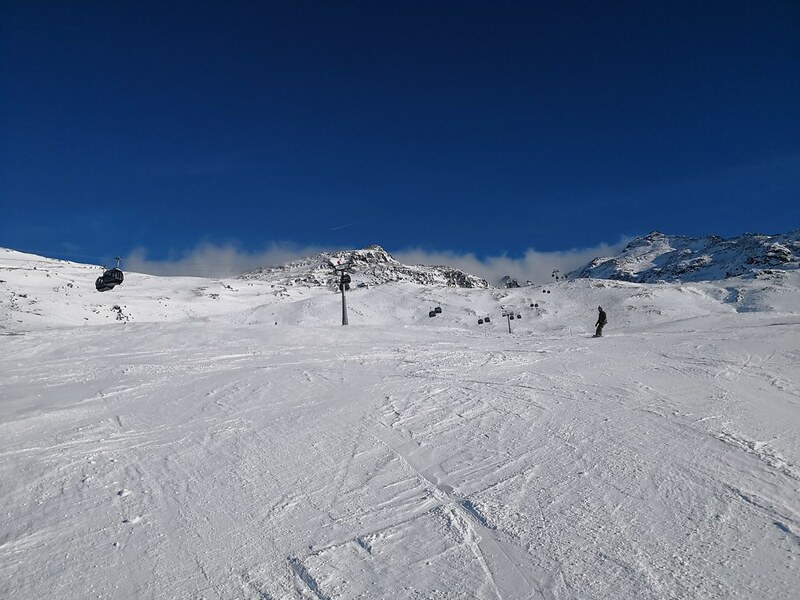 For those just starting out, there are T-bars around the ski school in the village that provides convenience and a great view since the village itself is located at 2,150m above sea level and that is easily the peak altitude of most ski resorts around the world. Red intermediate trails for intermediate and more advanced skiers are somewhat lacking from the piste map. Though I would prefer to say the red pistes are just an extension of the numerous blue runs that they have all over the ski resort. Most notably the top of Schermerbahn and the new Kirchenkarbahn II (in planning stages) would have only red-marked trails. These awesome trails have lesser crowds and definitely make for some nice cruising runs with more speed than the milder blue runs. 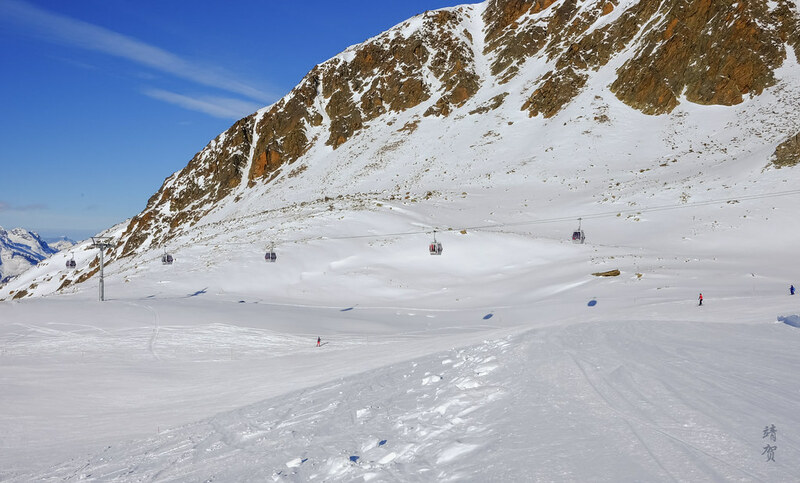 It is also worth noting that day skiers in Hochgurgl would also have to navigate a red intermediate piste back to the valley base if they choose to ski down. This trail actually runs parallel to the toboggan run that is popular with non-skiers. Of course, skiers can take the cable car instead if they are tired. Expert skiers gets to enjoy Hochgurgl as well since the most direct route down from Top Mountain Star is via the black piste number 28. Other black pistes includes the parallel runs 34 and 35 below the Große Karbahn 6-seater chairlift. 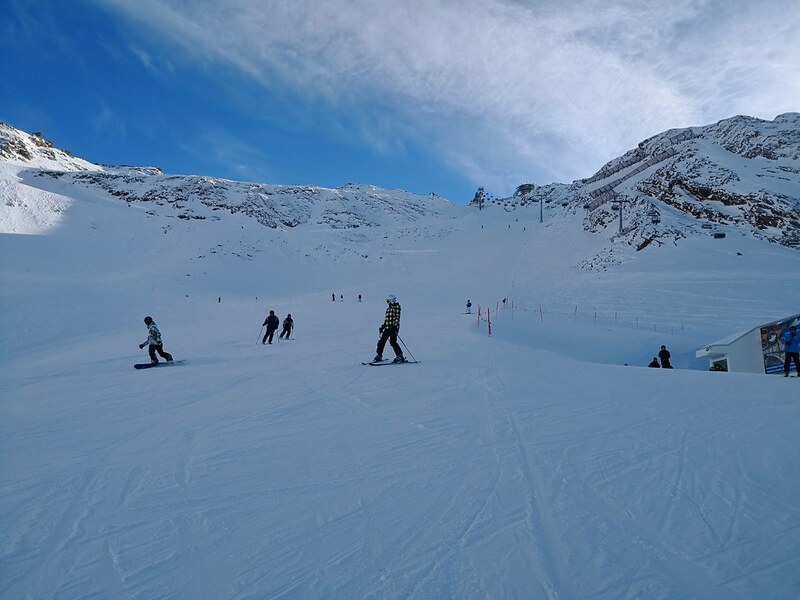 These black pistes are marked as such for their steepness though on some nice days, advanced intermediates should have no problem tackling them on their own. Since these pistes are wide and open, they are relatively safe for those seeking a challenge. Skiers and snowboarders looking for terrain parks would probably have to head down to Obergurgl and since I did not go there, I am leaving out of this review. Over on Hochgurgl there is a small funslope section with small waves and mini-slalom courses beneath the Wurmkogl section. And the upper Wurmkogl section provides a nice bowl for a try at steep skiing and a bit of that backcountry terrain. One fun area for off-piste skiing would probably the future terrain that could be easily accessed from the Kirchenkarbahn II cable car. Other than that there seems to be limited backcountry/off-piste skiing here in Hochgurgl. For a mid-size mountain resort as compared to the other Austrian ski resorts, there are plenty of on-mountain lodges here at Hochgurgl. 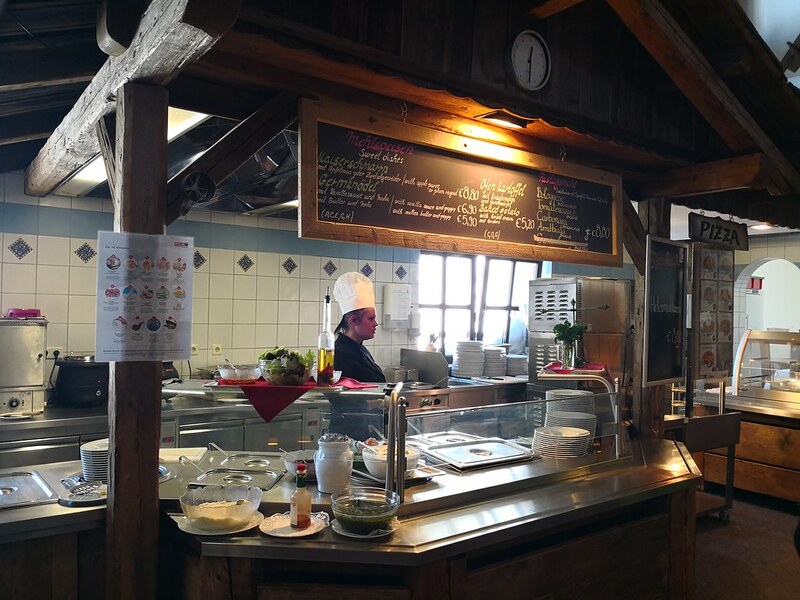 The 2 alpines huts – Wurmkoglhütte and Kirchenkarhütte provides a self-serve F&B counter inside a distinctive Tyrolean chalet architecture. Wurmkoglhütte is easily spotted from the Wurmkogl I chairlift and it is a convenient spot to have lunch in after having fun at the top of the mountain. 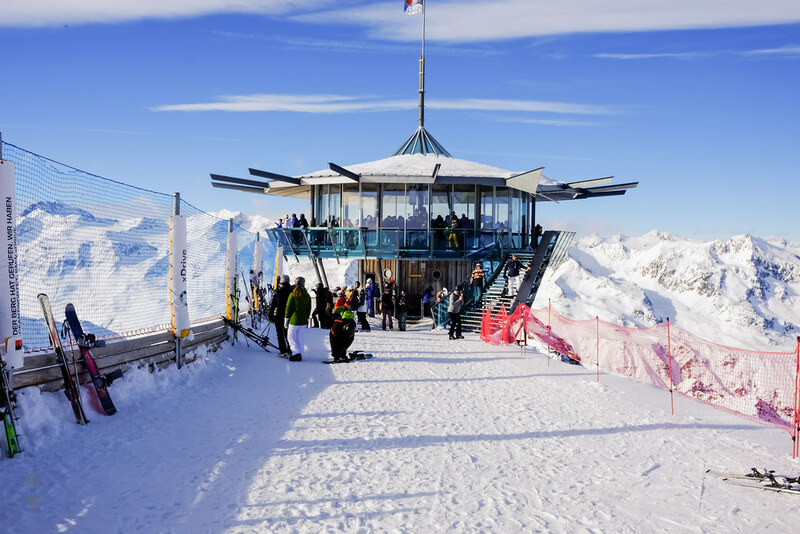 Other 2 spots worth visiting on the mountain includes the Top Mountain Crosspoint at the bottom of the Kirchenkarbahn cable car and the Top Mountain Star which is also the highest lift-accessed point in the mountain. 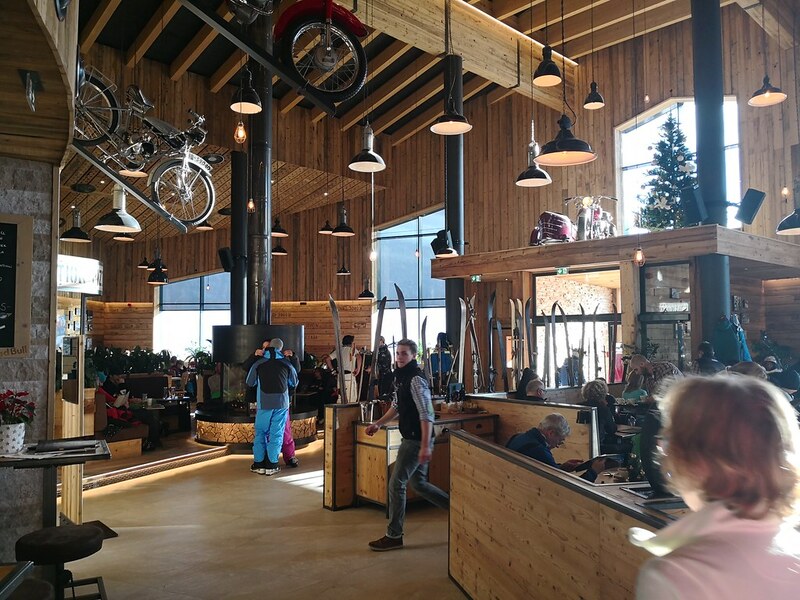 Both of these structures are more modern and the former is in a large structure that also houses the Motorcycle Museum, making it a family friendly spot if there are some members of the family who are not skiing. The venue at Top Mountain Star however is a smaller bistro serving simple snacks and beverages as it is constrained by space but the spectacular views here makes up for it. On the other hand the Top Mountain Crosspoint is a full-service restaurant with a great ambience. 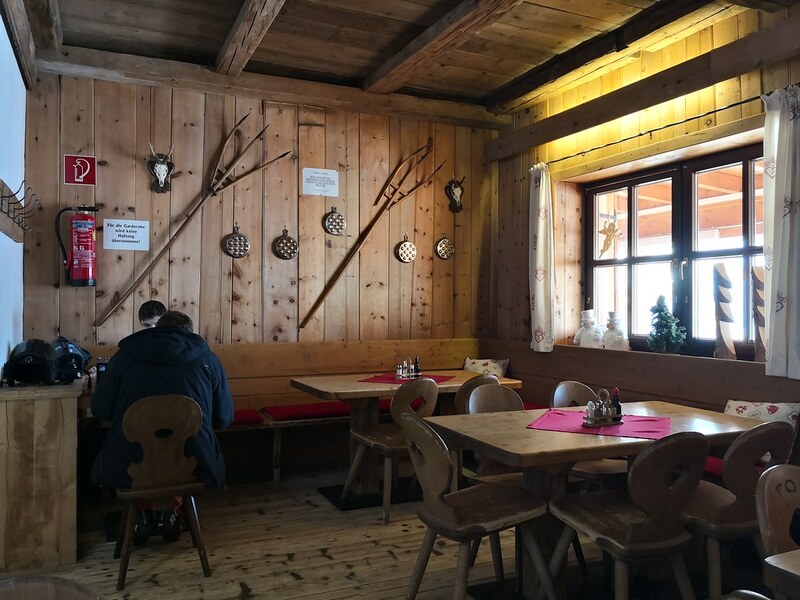 Naturally skiers can easily find Tyrolean cuisine served here like speck dumplings along with Austrian specialties like Wiener Schnitzel. 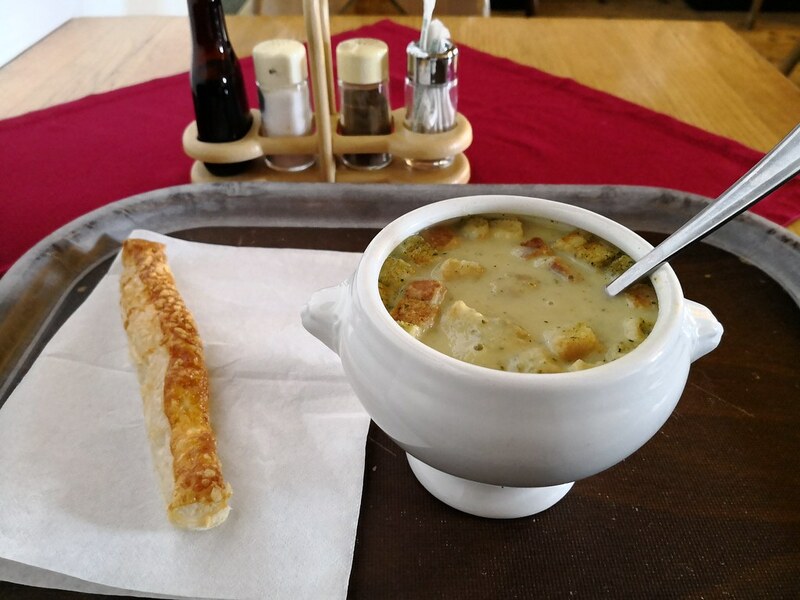 Another comforting dish to enjoy on the Austrian mountain side is garlic soup as they are particularly enjoyable on a cold winter day! Over on the grill, skiers can find other dishes like nuggets and fish & chips for younger guests or bratwurst with sauerkraut. Prices for these dishes can range between EUR 7-13 on the self serve counter. Skiers who want to dine at the Top Mountain Crosspoint with its more relaxed and refined ambience could expect to pay a bit more for food like pizza, pasta and steaks. Prices range from EUR12-15 for a plate of pasta or a pizza portion with main courses ranging between EUR16-22. Generally these are the prices one could expect to pay even in large cities across Europe and I do find the prices fair considering the quality of the food is great compared to ski resorts in North America. 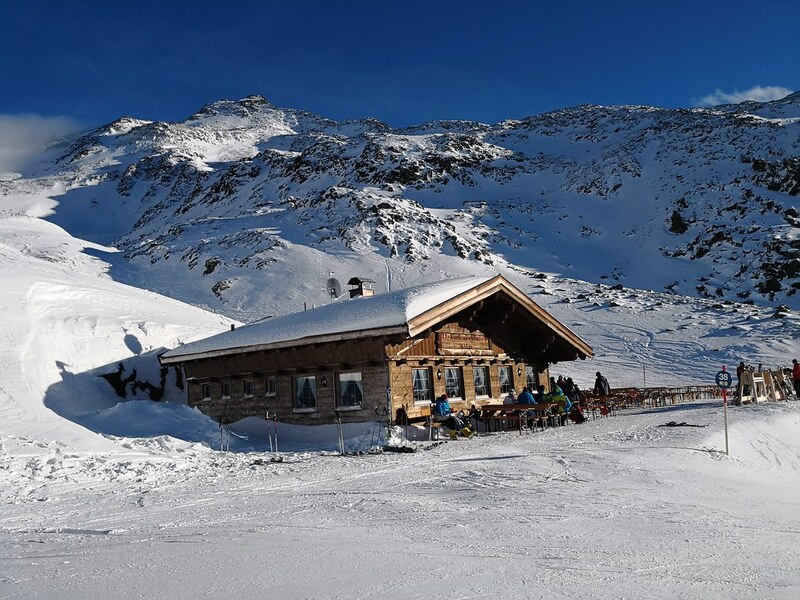 Accommodations in Hochgurgl is definitely limited with the somewhat small village but with the rest of the Ötztal valley linked by bus, skiers seeking lodging can rely on finding hotels or apartments in Sölden or Obergurgl which has a larger supply of rooms. In Hochgurgl itself, there are a limited number of hotels and they mainly range from 3-star to 4-star estblishments. This makes it impossible if skiers are looking for the budget or the luxury option, where they should probably look at Sölden instead with the pensions and more luxurious spa hotels. Otherwise, the lodging in Hochgurgl are perfectly fine for most skiers since nearly all the hotels have a perfect ski-in/ski-out location! 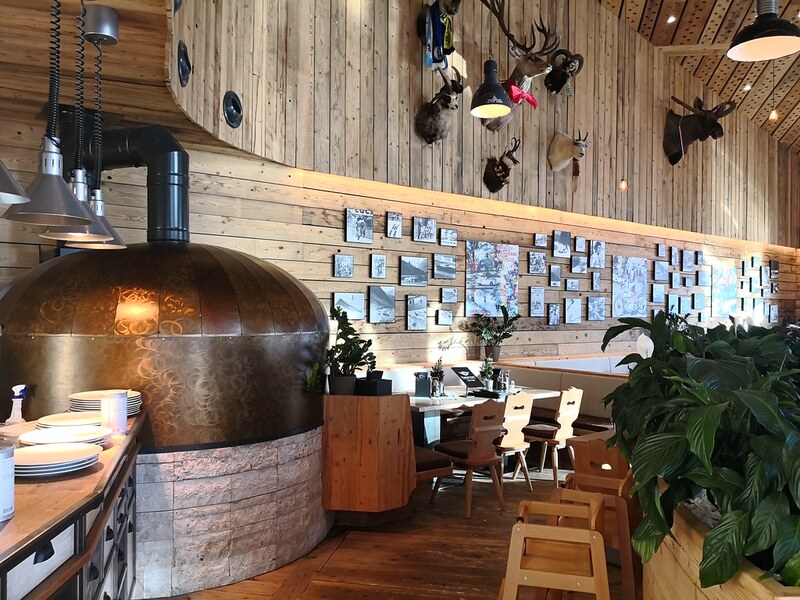 For day skiers, the restaurant at Top Mountain Crosspoint offers a great place to wind down over drinks since they can then drive back to their accommodations. Those staying over in the mountains would probably unwind for drinks in one of the ski huts instead as the Top Mountain Crosspoint is not linked by a piste to the village. Skiers taking the bus could relax at the Downhill Grill Bar at the base of Hochgurglbahn I located by the bus station. 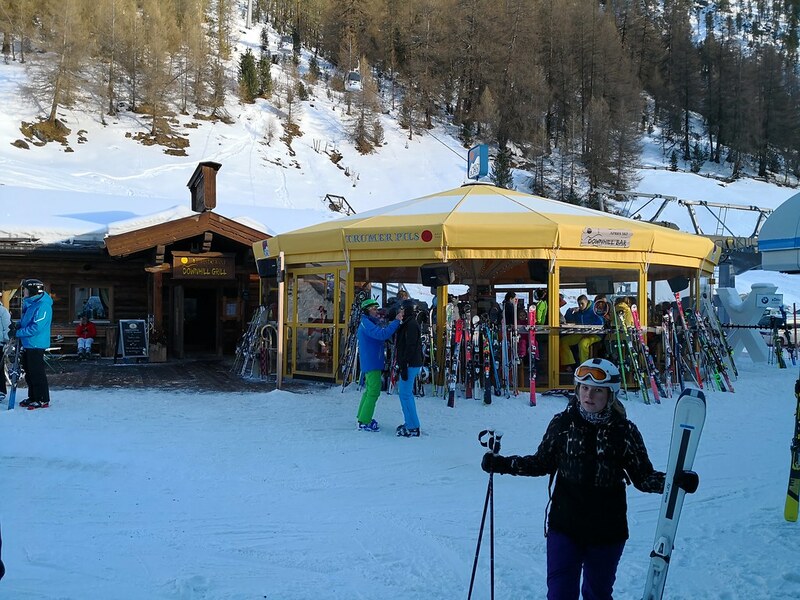 As a more family oriented ski resort with a mountaintop accommodation and no village on the valley base, there are less rowdy crowds here and the skiers does not seem to be the party type. 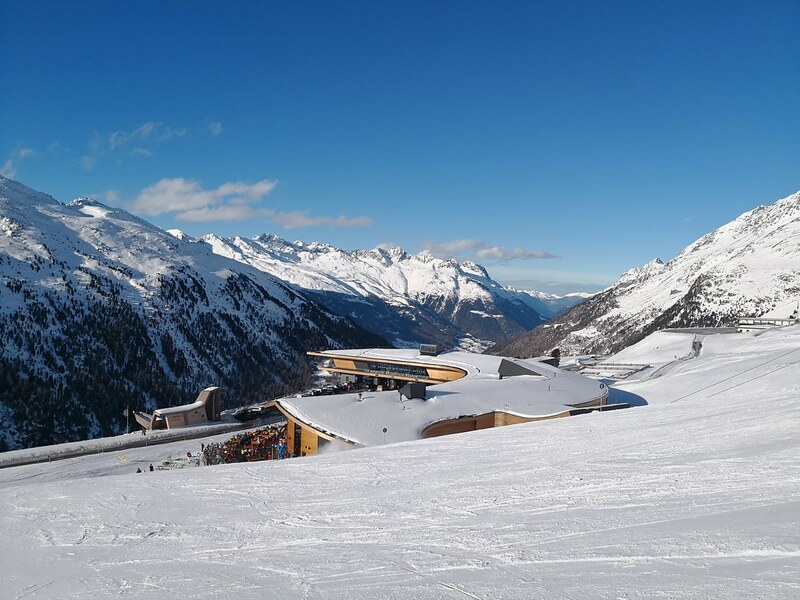 However the atmosphere is pretty relaxed and there are locations to unwind up on the slopes or back at the larger town of Sölden if you want to. Just remember that the bus does not run until late night if you are not driving! 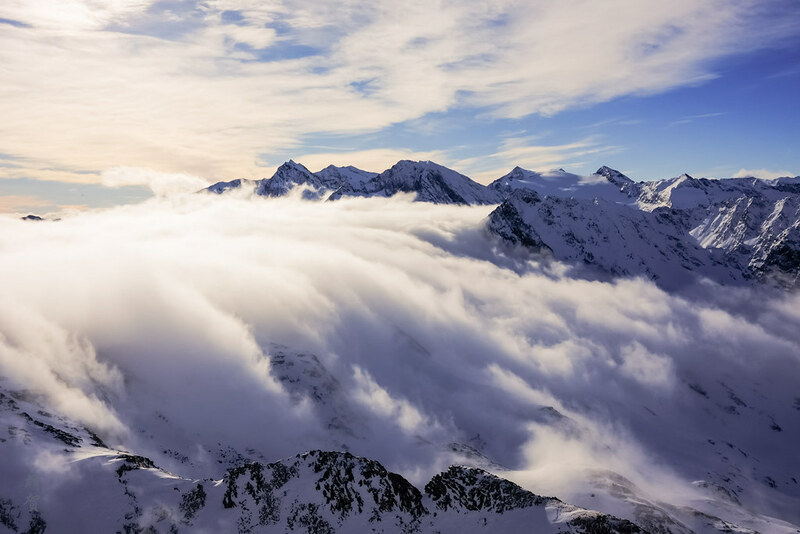 With the peaks around Hochgurgl having maximum altitudes of above 3,000m above sea level, visitors can expect a majestic view from the peak. Some of the summits are even above the cloud level which gives one of the feeling of being in ‘heaven’. This dreamy view is one to relish for sure and one highlight of skiing in the Tyrolean Alps. 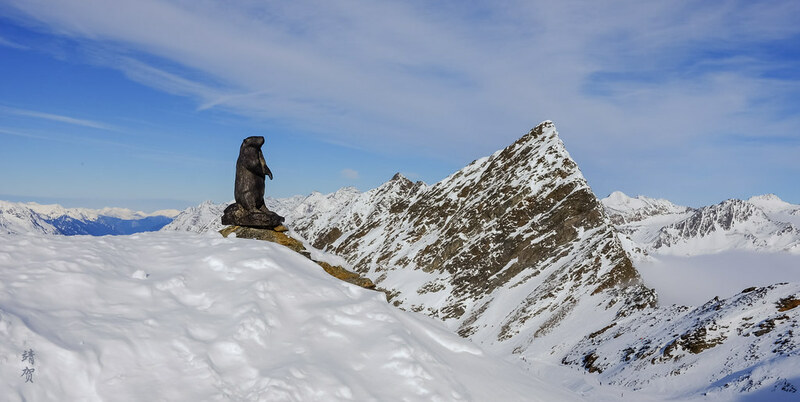 The Top Mountain Star has an observatory that provides the best views since it overlooks the back glaciers as well as a nice view of Schermerspitze. 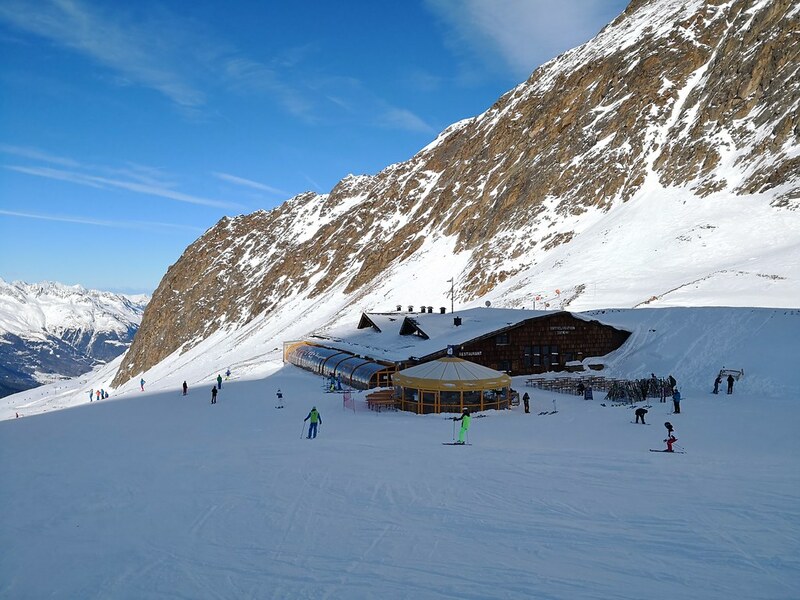 While this review focuses on my time skiing just Hochgurgl, the ski area is connected by a cable car to Obergurgl. Thus I would be happy staying at either Hochgurgl or Obergurgl and skiing these 2 areas for a week or so. Both mountains combined together does provide the same kind of terrain like what Whistler Blackbomb would provide. 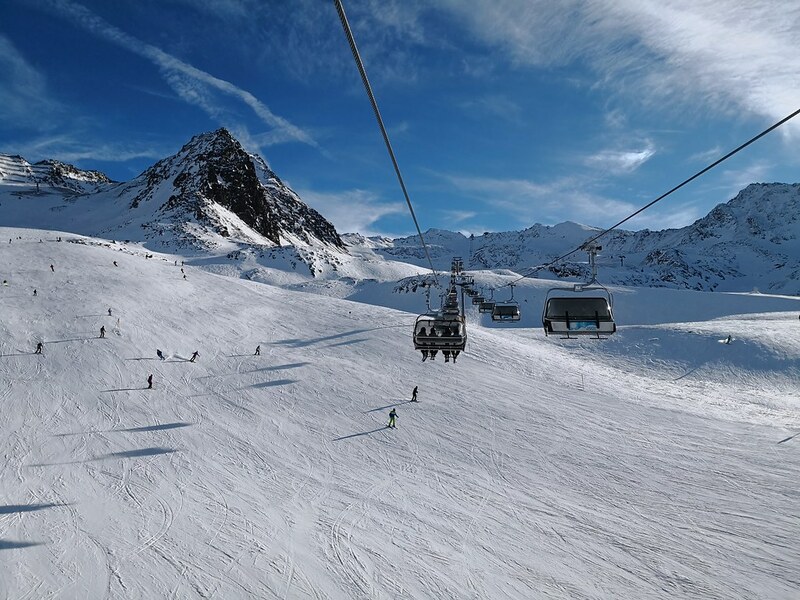 The higher altitude and views along with lack of queues on the chairlifts adds to the appeal of skiing in Hochgurgl. Perhaps it is less well known as Sölden and deeper in the valley that makes it less crowded but I think that is all the better as personally I found the views here to be more fun and the terrain more suitable for aspiring beginners and intermediate skiers, with less crowds to bother them. Even when I was spending 5 days in Sölden, I was glad spending one of my ski day here. In fact had I been staying at Sölden instead of the more inaccessible Hochsölden, I would probably have spent more days skiing in Hochgurgl/Obergurgl. 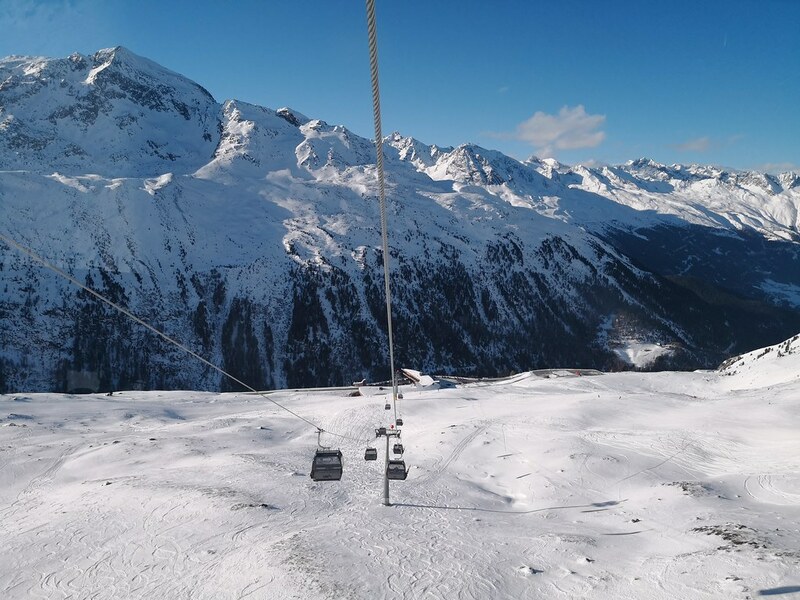 Finally, with the higher altitude and its location within the Ötztal valley, the snowfall here is more or less assured even early in the season. 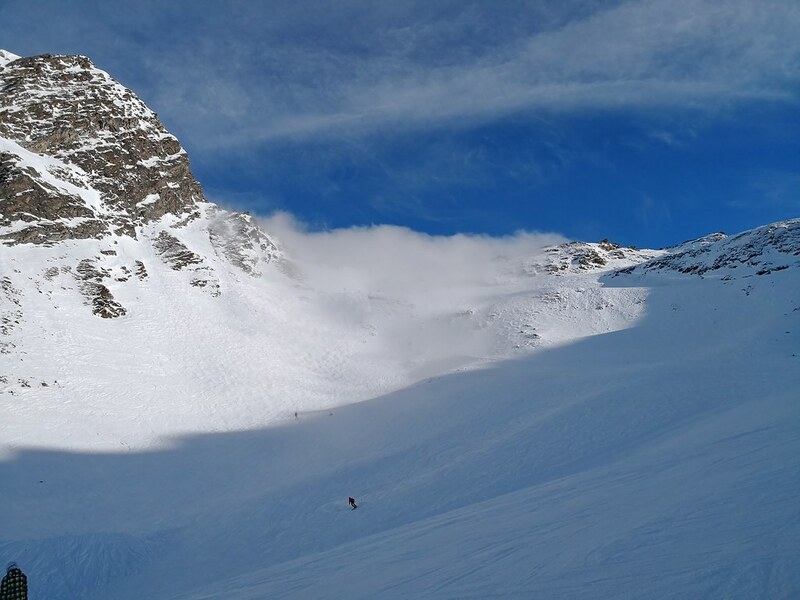 The ski season even can extend till the end of April or early May during periods where the snowfall is good and temperatures optimal. And that always makes it a sure bet for early season or spring skiing! 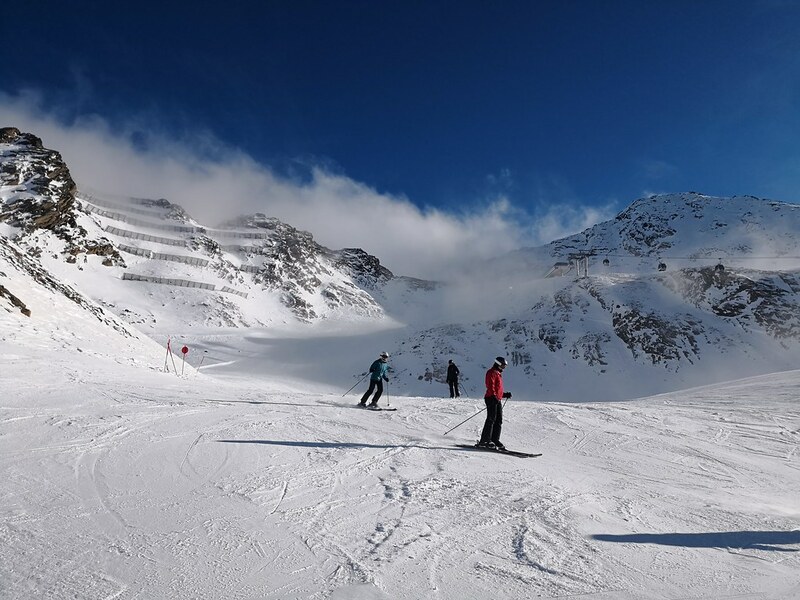 Austria has some of the best ski resorts with the best snow in Western Europe, and my guess is you will be happy to ski with your family there as they have something to satisfy most guests since Austrian ski villages are even charming to non-skiers!